Sending normally level-headed film lovers into a flight-booking, hotel-securing, credit-card-maxing frenzy, the programmers of the Toronto International Film Festival (which runs September 5-15) today announced the fest's preliminary lineup. And as is often the case at the "festival of festivals"—dubbed so for its curatorial culling of hot movies from other annual fests—the slate is a doozy. The event kicks off with Bill Condon's The Fifth Estate, starring Benedict Cumberbatch as Wikileaks founder Julian Assange, and winds down with Life Of Crime, a Jackie Brown prequel starring Mos Def (in the Samuel L. Jackson role) and John Hawkes (in the De Niro role). But the truly exciting titles are littered across the nine days in between. Eager to see what Alfonso Cuarón has been up to in the six years since Children Of Men? 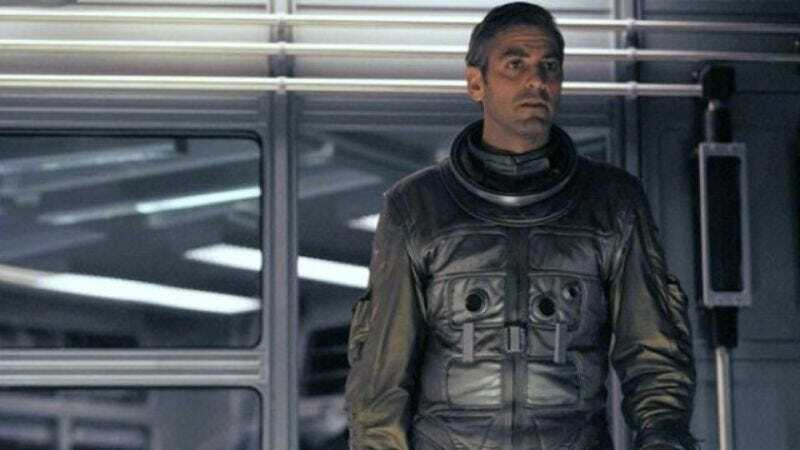 His new thriller, starring George Clooney and Sandra Bullock as stranded astronauts, premieres at TIFF. Curious how Steve McQueen (Hunger, Shame) will boldly aestheticize American slavery? His period drama 12 Years A Slave is one of the fest's most talked-about "special presentations." Other fragrant scraps of cinephile bait include Night Moves, Kelly Reichardt's follow-up to Meek's Cutoff; the West Memphis Three drama Devil's Knot, from Atom Egoyan; and REAL, a new sci-fi film from Pulse director Kiyoshi Kurosawa. TIFF has also gained the reputation as an awards-season launching space, with many recent Oscar victors—including consecutive Best Picture winners Slumdog Millionaire, The Hurt Locker, and The King's Speech—premiering there. This year's potential prestige crop includes new films from Ron Howard (Rush), Jason Reitman (Labor Day), and Paul Haggis (Third Person), as well as the Idris Elba-led Nelson Mandela biopic, Mandela: Long Walk To Freedom. For festivalgoers with more highbrow tastes—and without the pocket change to make the trek to France—TIFF will also offer fresh looks at some of Cannes' most acclaimed competitors, among them the Palme winner Blue Is The Warmest Color and The Past, the new one from A Separation director Asghar Farhadi. Need any more incentive to start scouring Expedia? How about the directorial debuts of Jason Bateman and Mike Myers, a second 2013 offering from David Gordon Green, and James Gandolfini's penultimate film? And the organizers haven't even announced the documentary, midnight, and masters programs. For those who can't afford the trip, don't worry: These will be basically the only movies opening in theaters over the next six months. Indiewire has an exhaustive list if you require further reading.